The man who last month attacked and chopped a police corporal who was on traffic duties in Christiana, Manchester has been slapped with a charge of wounding with intent. “I can confirm that the attacker has been charged,” said Wayne Cameron, the Superintendent in charge of Manchester Police Division. The police, however, did not give the name of the accused man. Reports are that the corporal was in uniform driving a service motorcycle in the town of Christiana on Tuesday, April 17, when the machete-wielding man walked up to the officer and chopped him in the face. The man, who is said to be of unsound mind, then chased the officer, who fell to the ground and got up in a flash in an attempt to elude his pursuer. The attacker was eventually shot and injured by a licensed firearm holder who was in the area. The police said the wounding with intent charge was laid against the man who remains in hospital under police guard. He was reportedly mobbed by citizens after the attack on the lawman. He suffered a broken leg among other injuries,. As for the injured policeman, he had to undergo corrective surgery and has since been released from hospital, Cameron said. 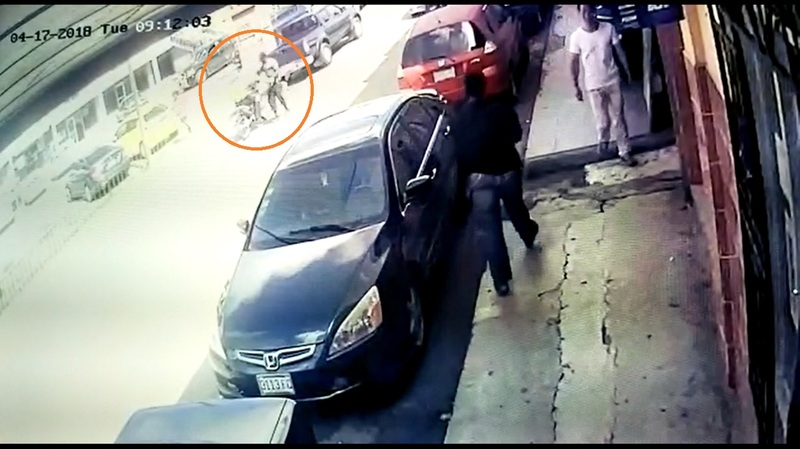 Videos of both the attack on the lawman and some of the mob handling of the attacker were circulated on social media.